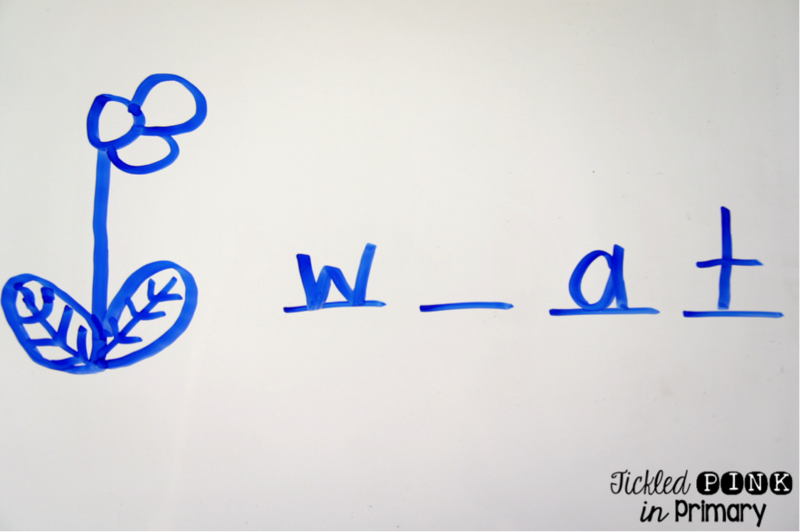 Are you needing more Kindergarten sight word activities? Teachers are always looking for new ideas because sight words make up anywhere from 50-75% of words in children’s books. By helping students learn sight words, it builds confidence in their reading. Sight words are meant to be learned and read with automaticity so students do not have to stop and try to decode that word when reading. Below are 10 strategies that I used in my Kindergarten classroom to help students get repeated practice with sight words. They could be used for other primary grades as well. 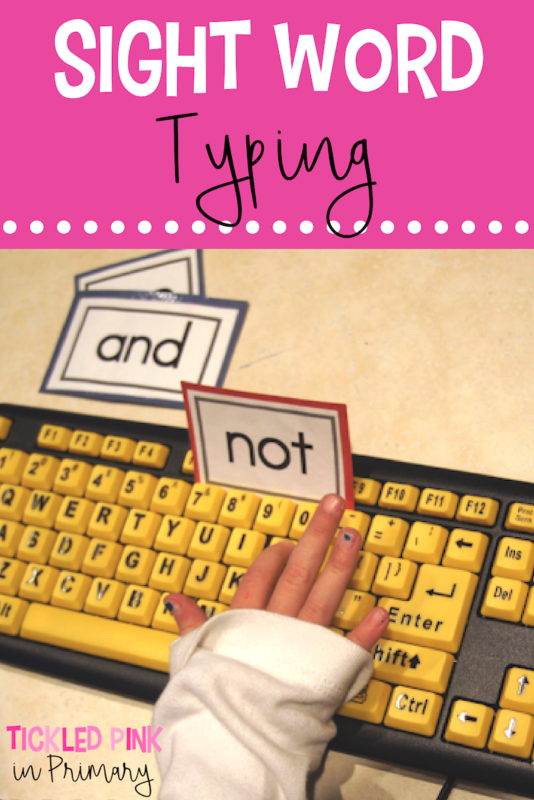 Sight Word Typing:I found these keyboards at The Dollar Tree a few years ago and instantly knew I needed them! Students simply draw out a sight word card and type the word. This gives them practice with keyboard skills as well. Sight Word Magazine Hunt: Do you get any of the Scholastic magazines? These are a great way for students to “hunt” for their sight words. I let them use a Sharpie marker, which of course makes everything more fun! High 5 Sight Words: This is one of my favorite sight word activities. When students came into the room they had to High 5 a sight word and say it. I changed a few words out each week and kept some of the harder words up for awhile. Some students would even do this as they left the classroom because they enjoyed doing it! I stood by the door so I could make sure they were saying the word, helping them if they missed it, and making sure they aren’t just doing the same word every single time. I found these hand accents in the Target dollar spot a few years ago, but you can find similar ones on Amazon here. 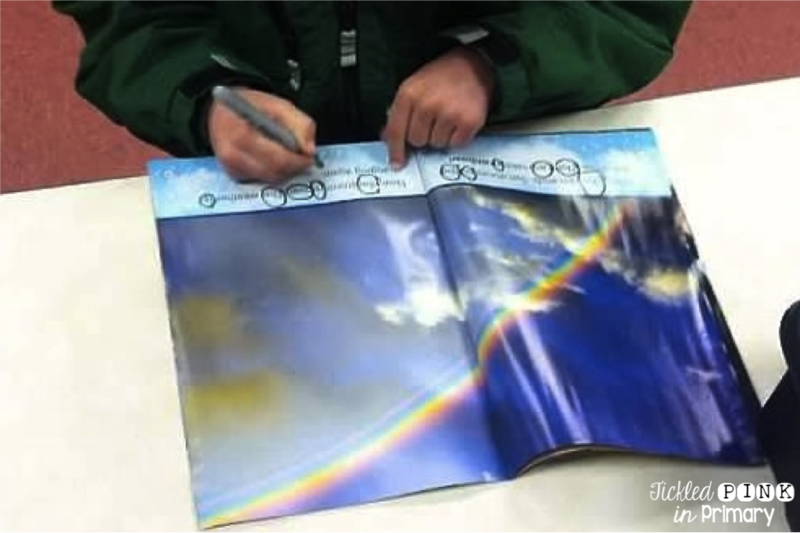 Rainbow Writing: One of the students favorite sight word activities is this Rainbow Writing Sight Words game. It’s even editable, so you can add your own sight words!! Students roll a color, choose a sight word, and write the sight word in that color. They continue until all rows are filled. Splat: Have you heard of the game SPLAT? 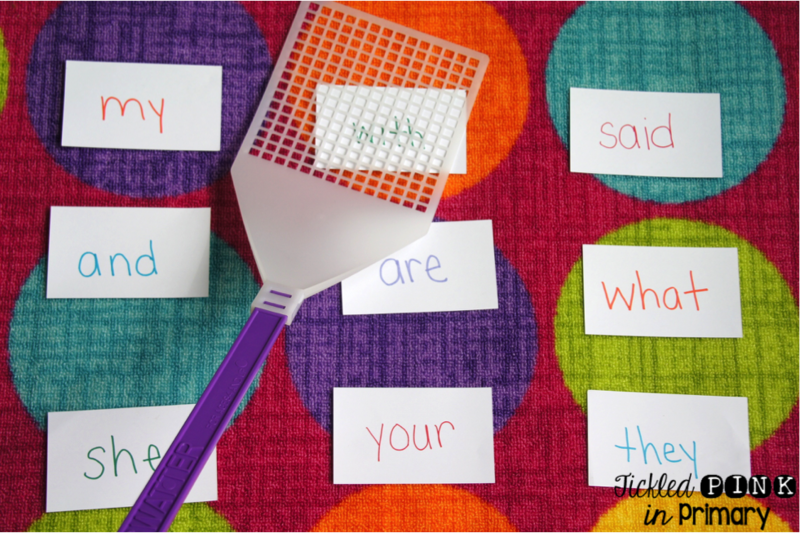 You say a sight word and the students have to smack the word with a flyswatter. I found this GIANT flyswatter at The Dollar Tree to make this more fun! Let 2 kids compete to find the word the fastest, for added excitement. I love cheap and easy sight word activities! Kaboom: Kaboom is an easy game made with popsicle sticks and a small Pringles can. Just cover the can with this FREE paper, write sight words on popsicle sticks, and write KABOOM! on a few of the sticks. Students simply draw out a stick and read the word. If they draw the KABOOM! stick, they have to put all of their sticks back in the container. I put this game in my centers and use it for letters, sight words, numbers, math facts, etc. It’s so simple but the students LOOOVE it! Erase the Word: Below are a few ideas to incorporate technology into your Kindergarten sight word activities. 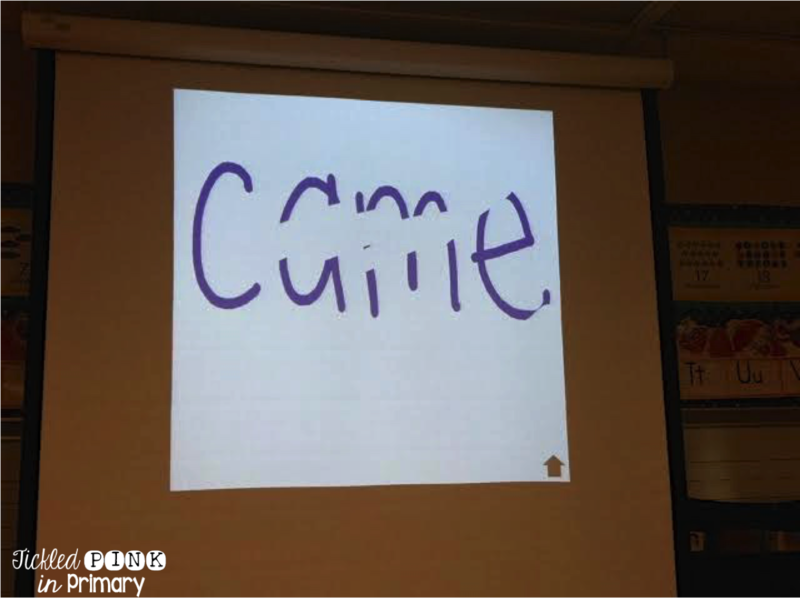 You could do this on your Smartboard or with an iPad and Apple TV. You can use a wipe off board style app such as Show Me. I write a word on the screen or on the app. Students at their desk have a notebook and paper because they are going to try to write the sight word as many times as they can before the word is erased. Then, I pick a student to be the “eraser”. Once the word is erased, students count how many times they wrote it. The ones that had the most then get something special to write with (marker, pen, highlighter). I do this until everyone in the class has something fun to write with. Who knew that writing sight words could be so much fun?!? Fluency & Fitness®: Lastly, and one of my favorite way to practice sight words is with this Dolch Words Fluency & Fitness. This Powerpoint projects words onto your wall for students to name. Occasionally, there is an exercise screen to get students up and moving! Teachers get to control how fast or slow they click to go to the next slide. At the beginning of the year, I go slower as students learn the words, and then faster once they are mastering them! They love trying to say the words before I can click to the next slide. If you teach Fry Words instead, I have bundles for the 1st, 2nd, 3rd, 4th, & 5th 100 words. Try this Sight Word Phrases Fluency & Fitness for a bit more of a challenge. By using a variety of sight word activities, it keeps the students interested and engaged. Then they’ll start bragging at how many words they know how to read in their books! 🙂 You can find more ideas with this post on 10 FREE Kindergarten sight word games and activities. If you want more activities, you can find many sight word activities in my TPT store here! Disclosure: There are some Amazon affiliate links included in this post. Some questions about your Fluency and Fitness Power Points. How do you introduce the topics to the students? Do you help them with the answers the first few times and then let them go on their own? Do you introduce all the words/facts in one Power Point or do you split them up? Also, where did you get your clip art? They are really cute! Thanks for you help in understanding your creations. They look really fun and I am very interested in trying these out in my own classroom. Nice ideas.Thank you so much for sharing these great ideas.